Owl Print just about sold out. I’ve been in love with images of owls since I was a little kid in the 70s. For a while, I was worried that art school made me too serious to make a fun piece. 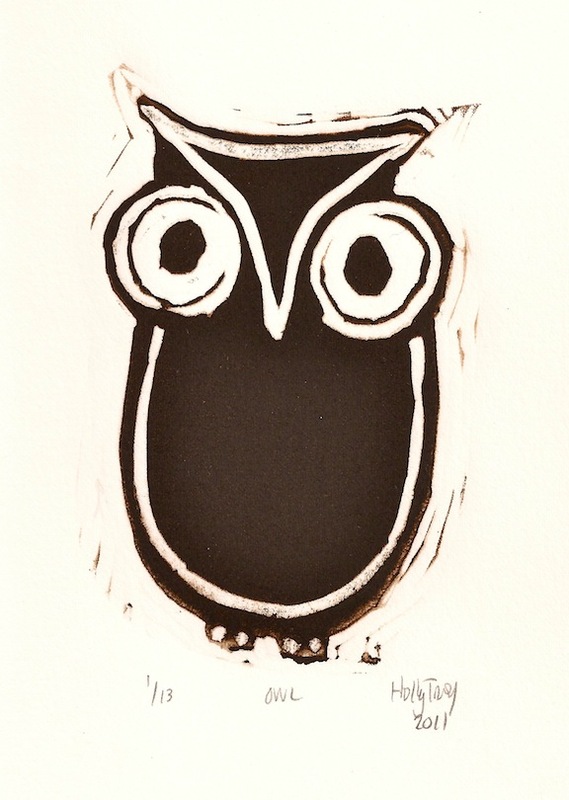 I loved making this print, and in keeping with the 70s vibe, this owl is an earthy dark brown. Linocut printed on Rives BFK acid free paper with archival ink. The paper is approx. 5×9, owl is about 4×6.